The ThinkPad A285 is a powerful 12.5" enterprise laptop that has everything you need to get the job done. The latest AMD Ryzen™ Pro processing and Radeon™ Vega graphics make multitasking a cinch. Biometric and encryption security protect critical data. And the 4G LTE-A option will keep you connected, regardless of WiFi range. 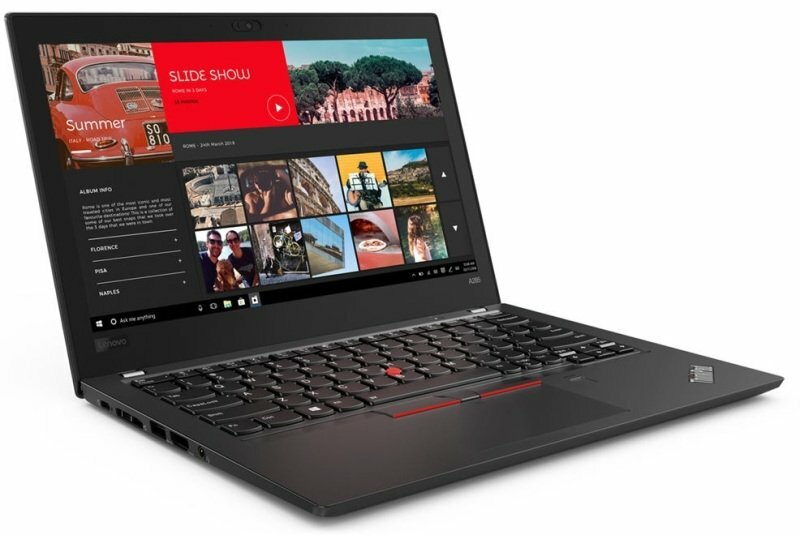 The ThinkPad A285 features robust biometric security and data encryption, ensuring a high level of enterprise-grade protection. And with easy serviceability, you get ready access to internal hardware components for troubleshooting or upgrading. When it comes to IT, we've got you covered. AMD Radeon™ Vega graphics make visuals more lifelike, colours more vibrant, and lag time a thing of the past. And Glance technology on the optional infrared (IR) camera merges face-, eye-, and gaze-tracking to switch windows based on where you point your eyes.